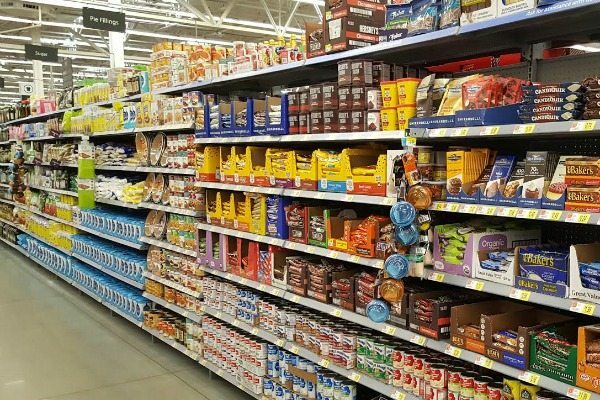 Be sure to stock up on all your holiday baking essentials such as NESTLÉ® TOLL HOUSE® Semi-Sweet Chocolate Morsels, NESTLÉ® BUNCHA CRUNCH® Baking Bits, NESTLÉ® CARNATION® Evaporated Milk, and Libby’s® 100% Pure Pumpkin at Walmart! 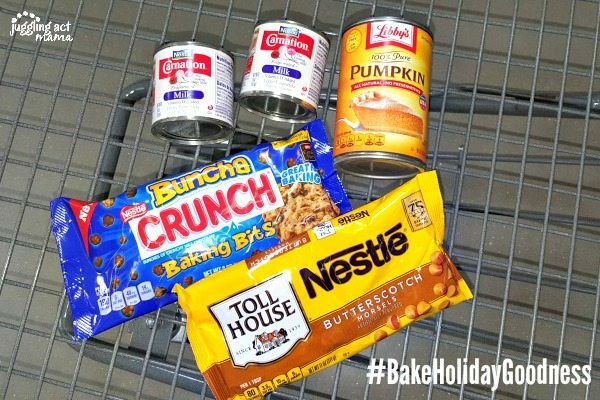 Having these items on hand means that I can #BakeHolidayGoodness for my family anytime. I love baking with my kids, and finding ways to make favorites a little healthier. These Pumpkin Butterscotch Chocolate Chip Cookies use less granulated and brown sugars than traditional chocolate chip cookies. By adding wheat germ and Libby’s Pure Pumpkin, they’ve also got some healthier ingredients. I always have Libby’s Pure Pumpkin on hand for my son Ethan’s favorite pumpkin bread because it contains no preservatives. This recipe really is a win/win for my kids, and for me! 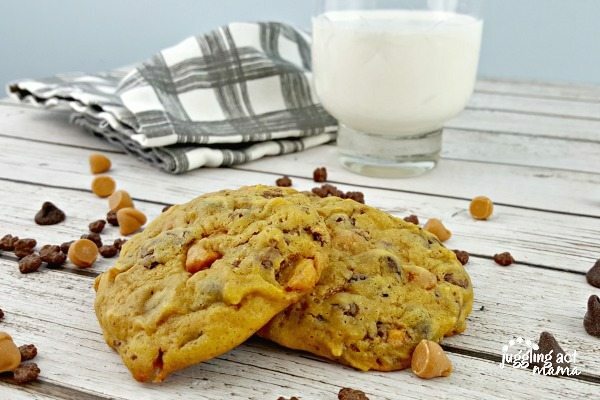 These Pumpkin Butterscotch Chocolate Chip Cookies are soft, pillowy cookies with the distinct flavors of pumpkin and cinnamon, but with a twist. When you bite into them, you get the delicious flavors of the Libby’s Pumpkin with the Nestle Butterscotch Morsels and the distinct crunch from the Nestle Buncha Brunch Baking Bits. Scroll down for my recipe, and visit the #BakeHolidayGoodness “Flavorful Moments” Pinterest Board for more recipe ideas. 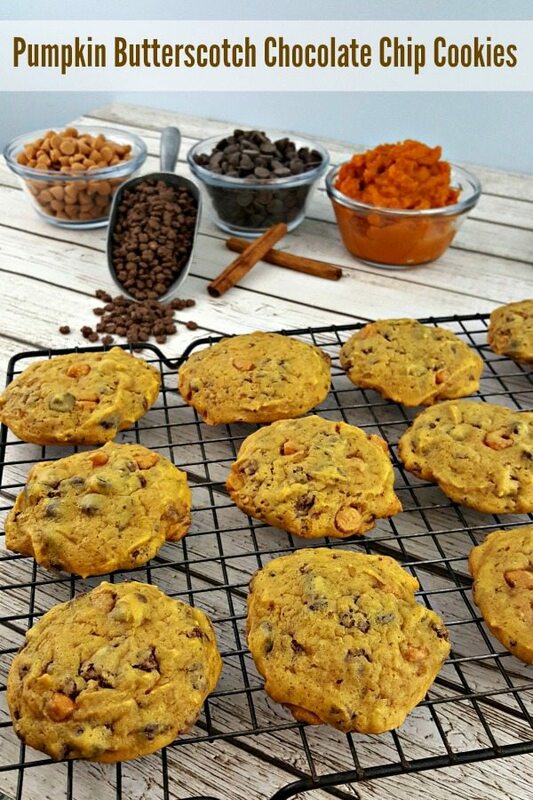 Here’s how to make Pumpkin Butterscotch Chocolate Chip Cookies, with real pumpkin puree. In the bowl of an electric mixer, beat together the butter and sugars until creamy and smooth. Add in the egg, vanilla, pumpkin puree, and cinnamon. Mix on a medium speed until combined. Add the flour, wheat germ, baking soda and salt and mix on low to combine. Finally, add in the NESTLÉ® TOLL HOUSE® Mini Semi-Sweet Chocolate Morsels, NESTLÉ® BUNCHA CRUNCH® Baking Bits, and NESTLÉ® TOLL HOUSE® Butterscotch Morsels and mix gently on low. Drop by tablespoonfuls on the prepared baking sheet. Bake for 10-12 minutes until golden brown and the edges are firm. Allow the cookies to cool 2 minutes on the baking sheet before removing them to a cooling rack. 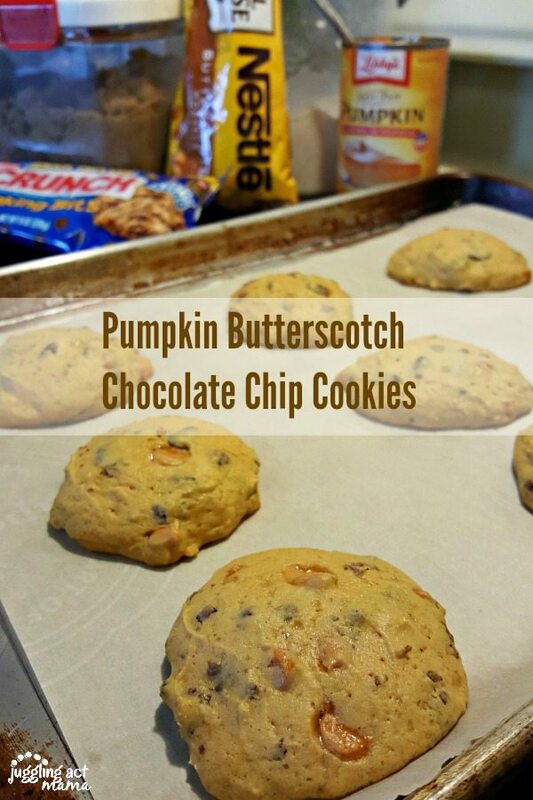 These cookies can be made with just Nestle’s Semi-Sweet Chocolate Morsels, but I just love the butterscotch and pumpkin flavors together. If you haven’t had a chance to try the Nestle Buncha Cruncha Baking Bits, you have to pick some up at Walmart right away. I’m seriously in love with those baking bits, I can’t wait to try them in a granola bar recipe! They add such a nice flavor and texture. 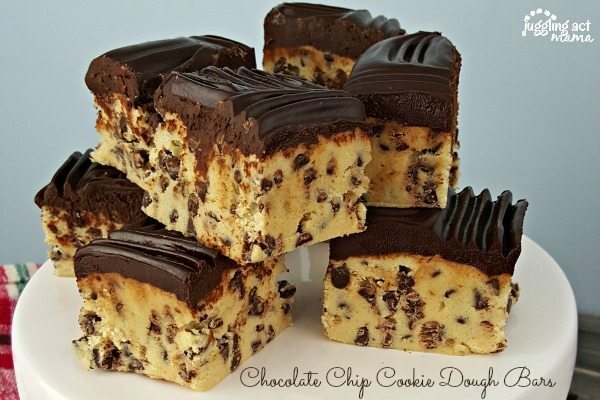 And for a truly decadent treat, you’ll love my Chocolate Chip Cookie Dough Bars! Oh I can’t wait to try these, pinning! I’m usually not a fan of pumpkin foods, but these might change my mind!